From on-site service to full project development, Inovision is experienced in PLC design and development. With expertise in a variety of platforms, Inovision can develop new or migrate old systems to new platforms. Inovision has a large team of PLC controls engineers that are experienced in automated robotic system controls. 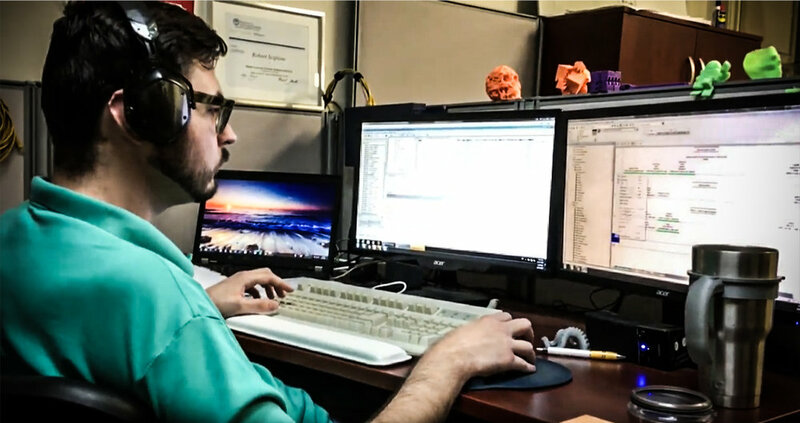 Our engineering team can develop software for both new turn-key robot systems and retrofitting new equipment integrated into existing plant control networks. Upgrade your obsolete systems to the newer platform seamlessly and easily. Our experts have already upgraded many plants to the new standards. 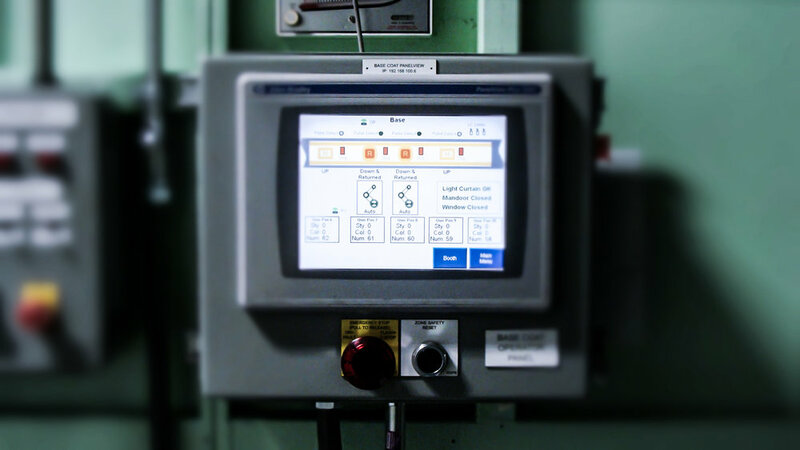 We can provide supplemental or complete onsite controls engineering support for small and large automation systems. Whether you need just one engineer for supporting the start-up of your robot system, or you need a team of engineers to do controls, HMI and communications design, start-up and standby support, we've got you covered. We have been upgrading HMI (Human Machine Interfaces) and GUI (Graphical User Interfaces) on systems throughout the world since 1992. We have helped many customers who had systems in production for 10+ years and no longer had in-house support able to troubleshoot their automated systems due to the age of the software. We come in and upgrade a new interface to old PLCs (many times updating PLCs as well), or design new screens on existing system HMIs to accommodate new automation. We offer both Panelview and PC based GUIs like our PowerPaint product.